he modern classics market is hot for BMWs at the moment. We’ve seen everything from Z3M Roadsters to M635 CSis surge in value over the past few years. Standard 635 CSis are on the march too, and 325i E30s and 328i E36s are being driven up by vastly more expensive M-car alternatives and a poor survival rate. Which brings us neatly to the 330Ci E46. 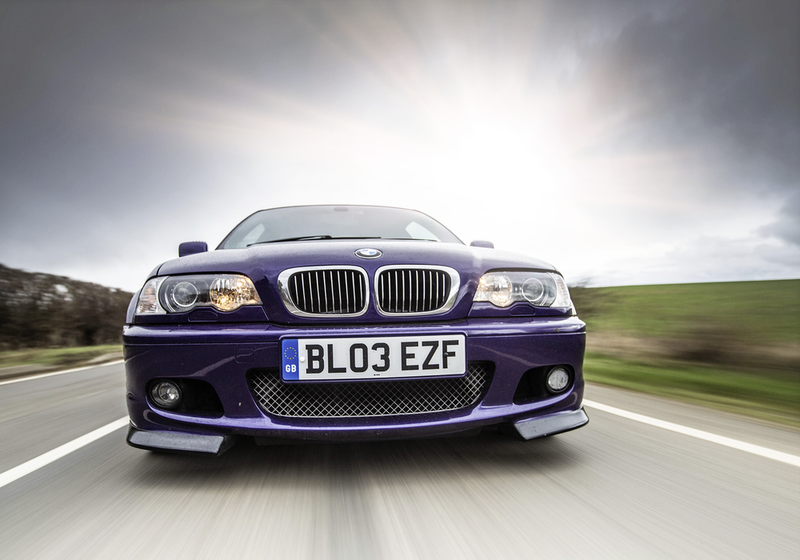 It may seem an odd choice, this – surely the E46 M3 and Z4M Coupé are better bets? The truth is that you don’t need us to tell you that. Values for the key low-mileage, well-historied cars have already grown. There’s still room to get in, as they will rise further, but you’re looking at a cost in the high teens and beyond for truly investible examples of both. That means the 330Ci is likely to be dragged up in the wake of its Bavarian brethren. It’s already seen as the poor man’s M3 – you’re only down around 100bhp and it’s cheaper to insure and run. But the M3 is a great car – especially in a modern world of forced-induction ever-lardier iterations of the M3/M4 with the resonance of six-cylinder scream long gone. All this comes to mind when you first set out in the 330Ci (we're in Carl Brooker's immaculate example). There’s no snarl, no ferocious throttle response and the ride comfort is excellent. You could be forgiven for feeling a bit bored… But persevere to the first twisty road. The M3, of course, will fly off on a wave of zinging six-cylinder fizz. Great, but it’s all a bit too easy – and the M3 will always be encumbered by the national speed limit, or beyond that, the limits of a court judge's patience. You may also feel disappointed by the M3’s cornering on the road. It can feel a little numb, a little bit of a blunt instrument. You can get it sideways, but for enjoyable, press-on driving without opposite lock, the M3 lacks a little bite in the steering department. 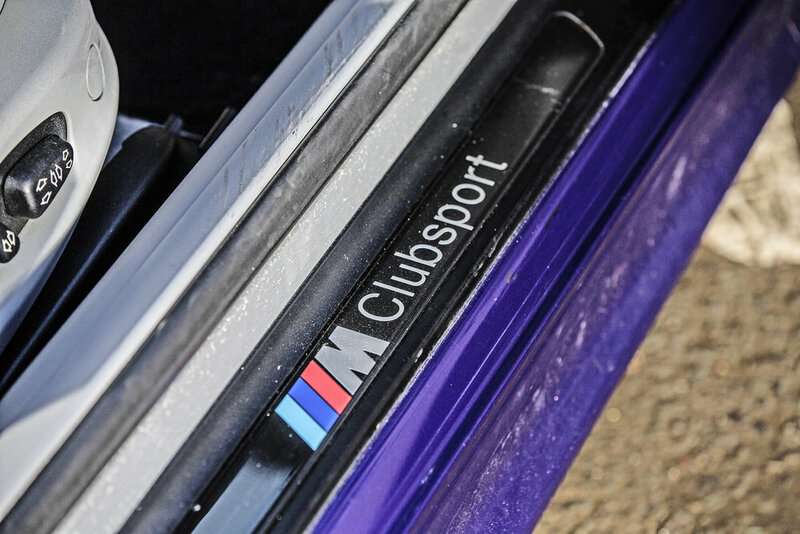 BMW addressed this with the M3 CS, which nabbed some tasty bits from the M3 CSL. The most important part of this £2500 option was the steering rack, which had a ratio of 14.5:1 against the standard car’s 15.4:1. 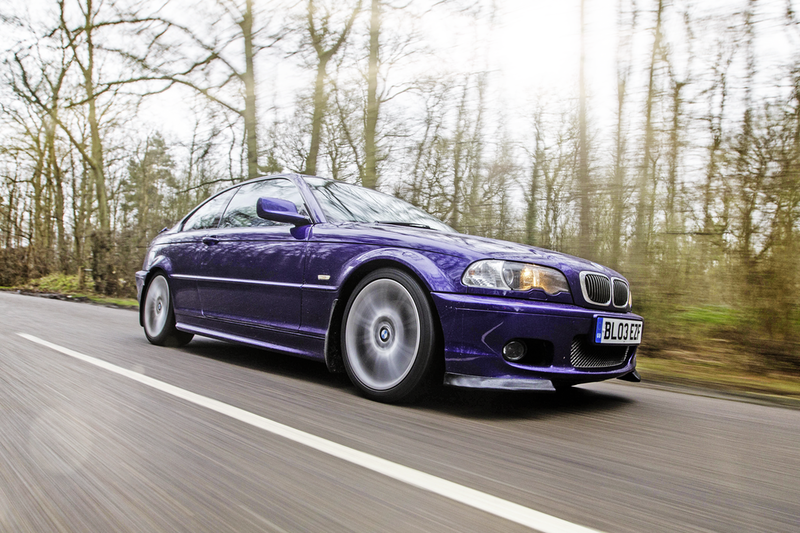 The 330Ci has the same 14.5:1 steering ratio as the M3 CS – and what a difference it makes. From the just-right-sized wheel to the smooth, linear inputs the BMW seems to relish, the steering feels so cohesive, so effortless yet engaging. It’s a car that you can almost drive straight from your synapses – the turn-in is crisp without being ragged and the communication through the wheel is clear without being unruly. You feel part of the driving experience in a way the standard M3 doesn’t quite deliver – it’s as if you’re marshalling the engine, rather than dictating proceedings. There is a slight tendency for the 330Ci to understeer if you’re being too much of a prat, but modulate the throttle a little and it soon tucks in to line, giving you a little bit of playfulness at the rear – but only if you wish it. 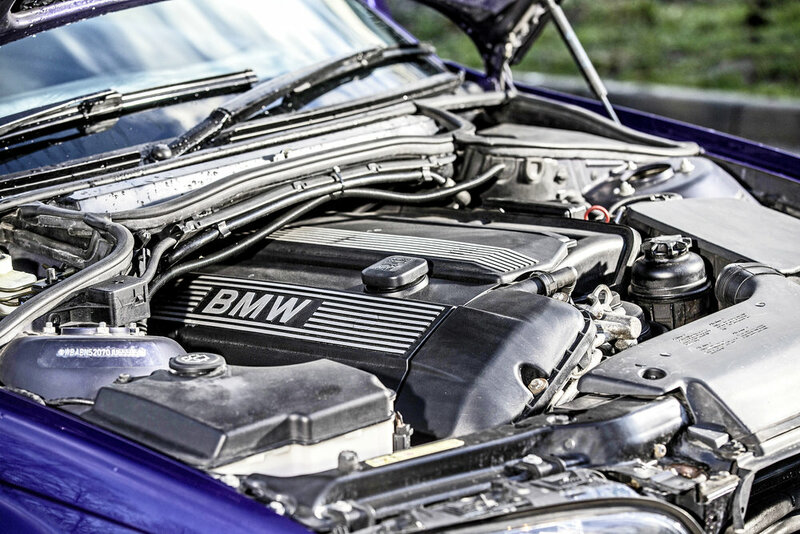 The M54B30 nestling under the bonnet plays its part too. It’s a lot smoother than the S54B32 engine found in the M3, and certainly lacking in the aural theatrics by comparison, but it plays a different tune. 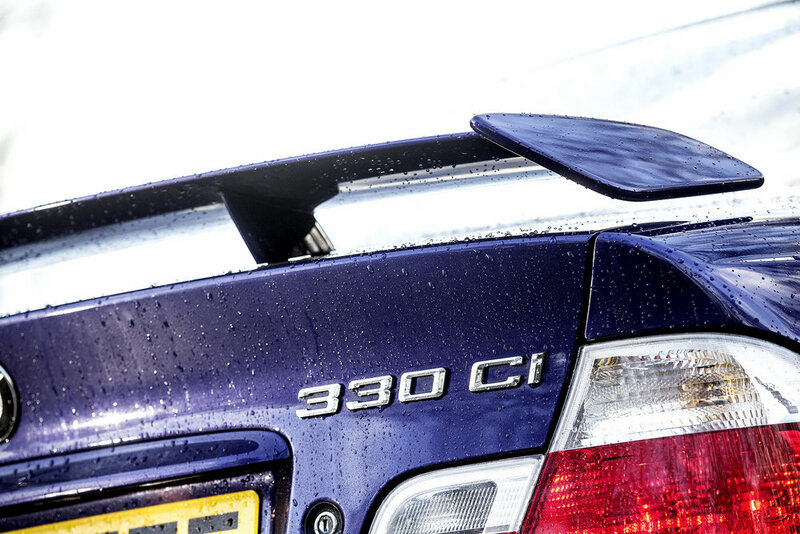 Whereas the M3 is always shouting, the 330Ci delivers a creamy-smooth whine as the revs build from 3500-6000rpm. Keeping the car in that zone is the essence of what makes the 330Ci so great. It takes focus, determination and some considerable élan to get the best out of it. 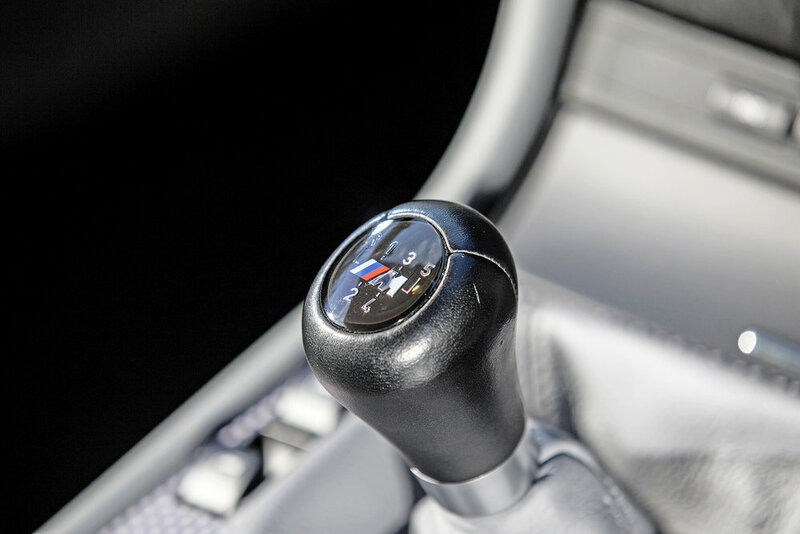 Where the M3 delivers excitement on a plate, you have to work the 330Ci's manual gearbox to keep the revs high. Peak torque comes in at 3500rpm, but you’ll be pulling all the way to the redline. It’s a linear, heart-thumping surge as the orange dials transmit ever greater numbers to your similarly widening eyes. Under that 3500rpm threshold it feels a little asthmatic, but that’s all the encouragement you need to keep the revs up. And because you’re having to put the effort in, hooking up that sequence of bends feels so much more rewarding than in a standard M3. It’s properly quick too – you’ll be racing past 60mph in around six-and-a-half seconds and you’ll run into the artificial buffer at 155mph. It’s real usable performance – simply drop a ratio and ride the analogue wave. It’s not perfect – the brakes lack a little feel and the gearbox can be a bit obstructive on some examples. It’s well worth paying a premium for the manual – not only do you get a level of interaction you just can’t get from the fully automatic and semi-automatic boxes, it’s what the market will favour when you come to sell it. 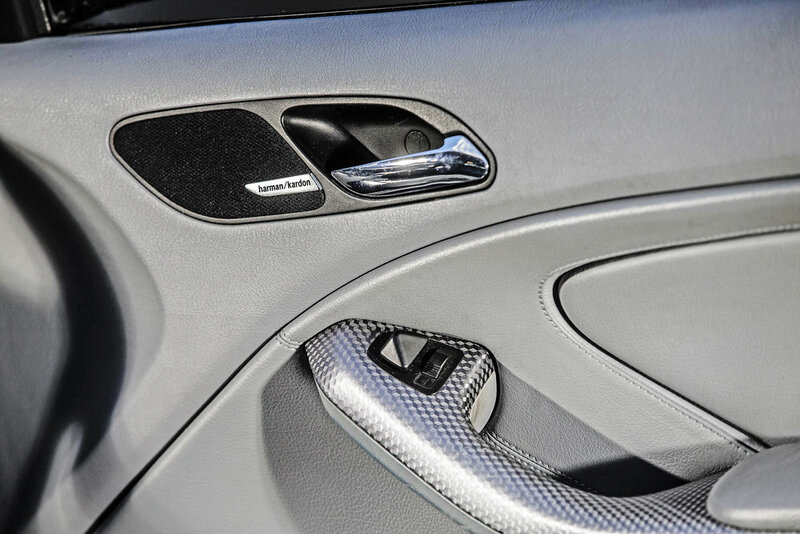 The interior lacks a little drama – it’s functionally stylish, rather than a sculpted mini-GT. It’s comfortable, though it can be a bit tight for the tallest drivers (odd, as the M3 is very spacious). The seats are supportive, though, and it all feels solid. The suspension is wonderfully damped too – it’s clear that the 330Ci was built for the daily grind as well as the odd thrash. Even in the Clubsport version we’re driving today, which has slightly stiffer and 15mm lower suspension, only the largest bumps cause problems for the chassis. Unlike last month’s Alfa, the 330Ci doesn’t get thrown off balance, which ultimately makes it more adept at B-roads than the Italian – you have more confidence to push harder and summon the 330Ci’s hidden depths. Of course, in the Clubsport they’re a little less hidden. We’re tipping all 330Cis for value growth, but we’re expecting the Clubsport to hold a slight price premium. In addition to the suspension tweaks, you get Clubsport branding across the kick plates, bespoke 18in alloys, shortened gearlever and special trim, plus leather and Alcantara chairs. There’s also a couple of chin spoilers, plus a low-rent-looking boot spoiler. The most useful part of the package was the removal of 20kg of sound insulation; you won’t notice any changes in dynamics but you’ll hear the engine better. The best bit, however, is more superficial – you can only get Estoril Blue or Velvet Blue (like ours) in the Clubsport version, though you're not limited to those. 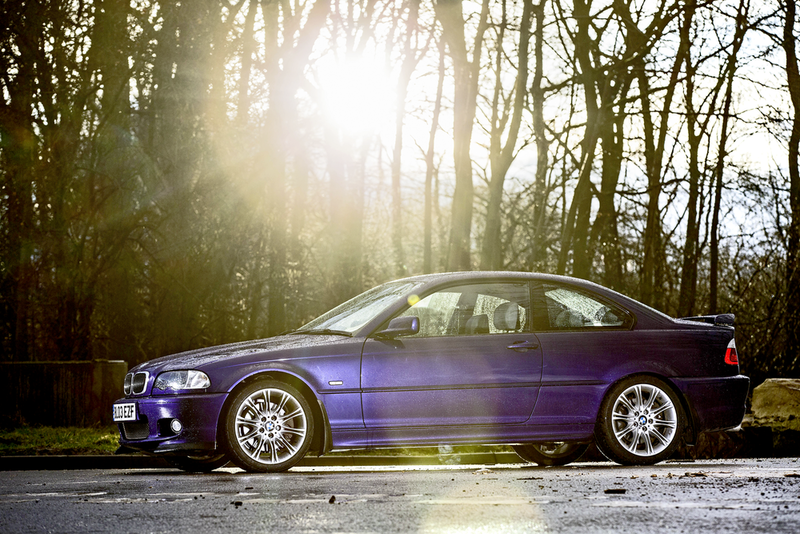 Whatever version of the 330Ci you buy, you’re in for a treat. It nails the practical elements of being a car first, then offers fun as a very big side dish. Other weekend treats may be tastier, but it has the ingredients to satisfy your driving appetite more often. The 330Ci is a great rational sports coupé. It’s practical, comfortable, largely well built and capable of long journeys without wrecking your spinal cord. Okay, it doesn’t have the kudos or performance of an M car, but it’s much more rewarding on the road. It’s also a lot cheaper – the very best 330Cis are around £8k – and costs less to tax, run and insure. That figure will only get you into the shabbiest M3, and one with an SMG at that. There are a lot of 330Cis around, but a lot of them have been abused, pillaged for their steering racks to transplant into M3s or turned into track day hacks. This all means that the very best cars will continue to be sought after, and command a price premium. Pay £8000 for the best manual you can find and we forecast it’ll be up to £11k in a few years’ time.